Get a flatter tummy with this 4 week exercise plan. Lie face up, knees bent, legs out and heels together with arms by sides. Lift head and shoulders off the floor and extend legs out in front of you. Return to start position. Do 15 reps. Sit on the floor, hands behind your head. With back straight, lean back slightly to form a V shape between chest and thighs. Use your stomach muscles to help balance. Bring knees up towards chest and use your stomach muscles to slowly lower them to the floor. 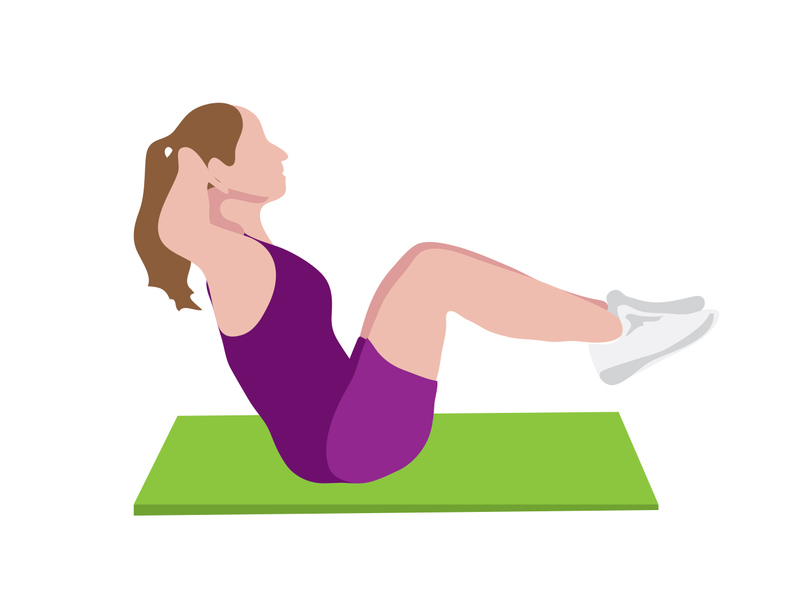 Try 2 sets of 15 reps.
Sneaky slimming tips: Slim your tum in an instant by correcting poor posture: keep your tum pulled in (draw navel back to spine as if trying on a tight pair of trousers). Or try the housework workout. Hoovering makes for a great abdominal workout if you tighten tum muscles as you push back and forth, while loading the washing machine can give waist muscles a great workout. 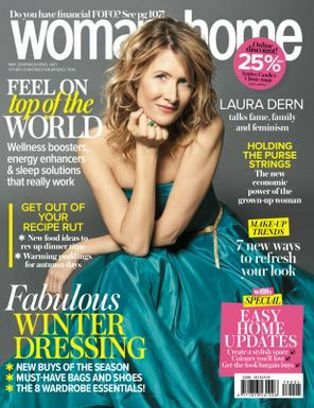 Lie with head and shoulders flat on a mat, legs bent in the air with knees bent at 90 degrees. Arms by sides, curl your knees towards our chest, lifting bottom and hips off the mat. Lower the the start. Do 15 reps, rest and repeat. Lie face down, resting on your forearms. Slowly push off the floor, rising up on to your toes. Make sure your back remains flat, forming a straight line, and keep tummy pulled in. Hold for 5 seconds, relax and repeat. Do 5 reps.
Ramp up your results: Tough up the puff. If your aerobic exercise routine currently consists of walking the dog, think about upping the intensity to include more hills or even some jogging. Consider aerobic exercise that works your abdominal muscles: boxing tightens and firms waist muscles, while swimming forces your abs to work in order to maintain your body’s stability in the water. Assume a push-up position on hands and toes. Bring your right knee towards your chest, return to starting position and repeat with left leg. Alternate ‘running’ your knees into the chest like this for 1 minute. Lie on your back with arms out to the sides and your legs directly above you in the air. Make circles with your legs by lowering them towards the floor and bringing them back up. Repeat. Do 8 in a clockwise direction, then reverse. Repeat. Your core as a corset: Practice the no-crunch crunch. From a standing position, place fingers on your hip bones and trace them inward. Then pull your tummy button back towards your spine. Don’t hold your breath or hunch your shoulders. Hold this pulling-in for 10 seconds, relax and repeat. Do 5-10 of these at a time during the day. 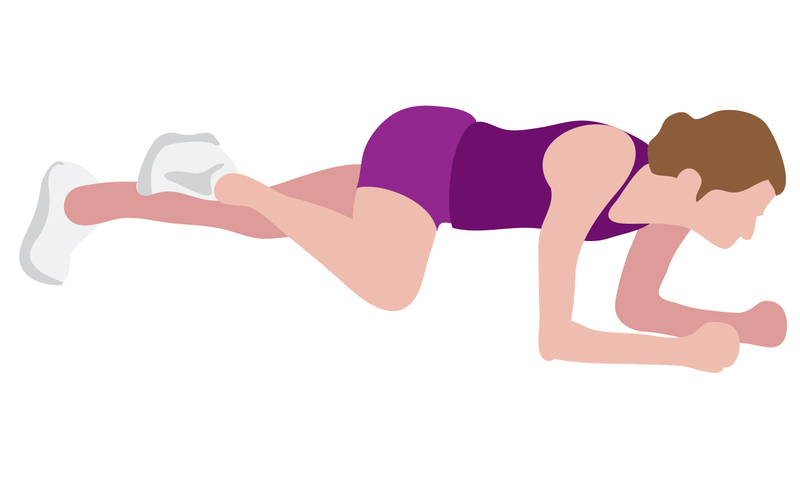 Begin in full plank position (see week 2). Keeping your leg straight, sweep your left leg out to the side, tapping the floor with your big toe just below hip level. Return to start. Do 5 reps on each side. Repeat. Lying on your back, straighten your legs directly above your hips, head up if it doesn’t pain your neck. Pull stomach in, cross your ankles and ‘scissor’ legs down towards the floor until your back arches. 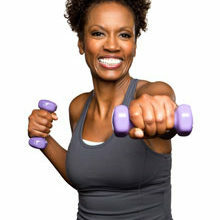 Do 10 reps.
Have fun working out: Try a dance class such as salsa, Zumba or even belly dancing. All that hip-thrusting strenghtens your lower abdominal muscles, while the 10 calories you’ll burn a minute will help shift belly fat. Or give hula-hooping a go – just 10 minutes a day can raise your heart rate up to 84 per cent of its maximum capacity – great news for fitness levels and waistline.